SunPower embraced the opportunity to educate the next generation of energy leaders. We began developing innovative and engaging educational content about solar energy. We also established partnerships with organizations that share our educational goals. The result? The SunPower Horizons™ program. To date, we estimate that SunPower Horizons has reached more than 10,000 students in the U.S. with hands-on curriculum and lesson plans. The program is designed to promote student engagement and curiosity in the subjects of science, technology, engineering and math (STEM). It challenges students to consider how they use energy and where it comes from and prepares them for advanced academic study and professional careers. SunPower Horizons is helping to address this problem by working with schools to fundamentally transform STEM education. We offer schools complete customizable STEM programs designed to spark students' curiosity and give them the tools they will ultimately need for success. SunPower Horizons offers schools three approaches — classroom-based, field work and professional development – that can be mixed and matched to best serve each community. 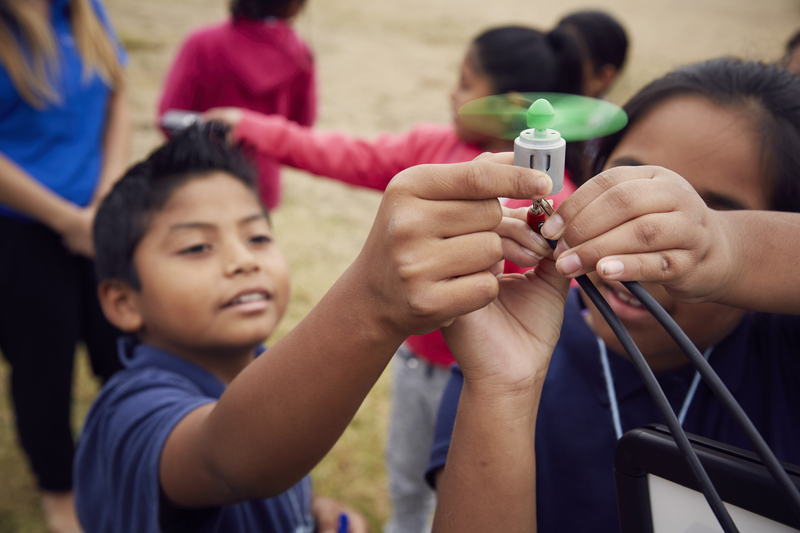 Through a partnership with Project Lead the Way, SunPower delivers activity-, project- and problem-based comprehensive STEM curriculum. Project Lead the Way’s programs promote critical thinking, creativity, innovation and real-world problem solving, with the goal of exposing students to career opportunities in STEM-related fields. The curriculum is aligned with relevant national standards and developed by subject matter experts, including teachers, university educators, engineering and biomedical professionals and school administrators. “There’s an engineer inside each one of these kids, and SunPower is helping us make sure that potential doesn’t go untapped,” said Steve Gunter-Murphy, a retired STEM professional and Project Lead the Way classroom volunteer at Hoover Elementary in Oakland, CA. 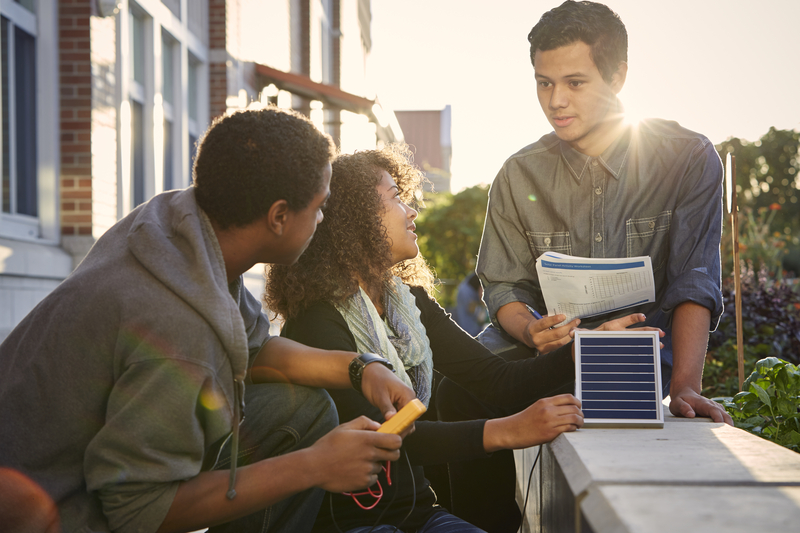 Organizations participating in the SunPower Horizons program get access to our standards-based K-12 solar energy and energy efficiency lesson plans, which include teacher guides, student worksheets, presentations and links to online resources. They can also request that a qualified SunPower employee present the material and work with students in the classroom. Outside of the classroom, the SunPower Horizons program allows students to imagine a range of career possibilities while they develop essential insights on energy. The hands-on learning appeals to both teachers and students. More than 600 students and 86 teachers have participated since the Solar Energy Academy was launched in 2012. We often hear from Academy graduates about the difference this program makes in their lives. “Thanks to my experience with the Summer Solar Energy Academy, I’m now a second-year mechanical engineering student. I greatly appreciate the impact SunPower has had on the course of my life,” said Ashley Osborne, SunPower Horizons participant and current undergraduate student at the University of California, Davis. The program includes opportunities for educators to learn about solar energy, giving them the tools and knowledge to better educate their students. SunPower Horizons extends teacher learning beyond the classroom through teacher trainings such as a continuing education solar certificate course. Want to learn more about how you can help your school go solar? Visit our schools solar page. Want to learn more about the SunPower Horizons program? Visit our website at us.sunpower.com/horizons or email horizons@sunpower.com. © 2015 SunPower Corporation. All Rights Reserved. SUNPOWER, the SUNPOWER logo and SUNPOWER HORIZONS are trademarks or registered trademarks of SunPower Corporation in the U.S. and other countries as well.